Swap, click and go with 26 mm wide interchangable bands for your compatible dive watch. 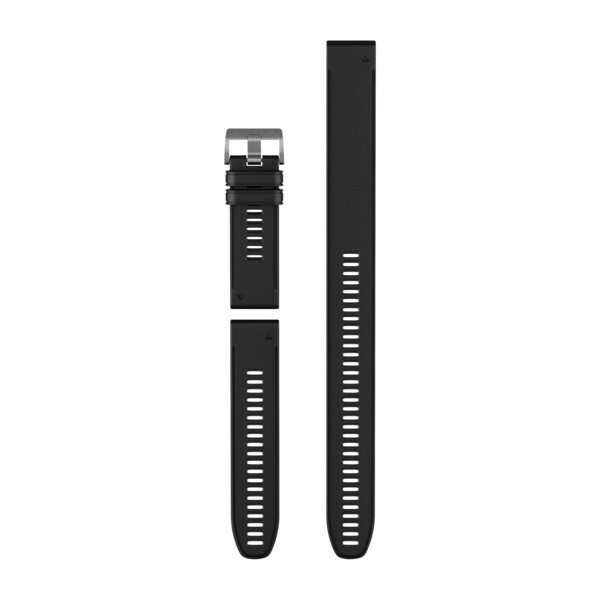 Whether going over a thick wetsuit or a dry suit, this black silicone band with metal closure allows you to change your watch's look and feel in a snap. Need some extra length? The included extra-long adjustment strap fits around diving gear and is tested to work underwater. Plus, it's easy to switch and always secure. No tools required.